Ganesh Kohli is a teacher and counselor who has founded, nurtured and led multiple education-focused organizations over the past 20 years. An engineer by education, Ganesh started his career teaching Mathematics besides helping families find the best-fit education globally. His journey has led him to visit over 450 colleges and universities, present workshops at 300+ high schools, help 4,000+ students with their higher education decisions and present at numerous global conferences. In 2015, Ganesh stepped back from active involvement in his entrepreneurial ventures to drive initiatives that will have social impact. He supports The Aha Movement and Soul Science Foundation to bring meditation and mindfulness in everyday life. He has also simultaneously envisioned the IC3 movement to impact 175,000 high schools over the next 15 years. Serving as the Chair of IC3, Ganesh has helped build a platform that is providing much-needed focus on career and college counselling within high schools. The IC3 movement now attracts leaders from 500+ educational institutions to its annual conference, has 30 regional events across Asia and supports free education for school teachers to become trained career and college counselors. Michelle (B.A. : international affairs, minor in Spanish and M.S. : communications, emphasis in educational leadership, Eastern Washington University) has been in Enrollment Management for nearly 25 years. She has served as Associate Vice Chancellor of Enrollment Management at UC Santa Cruz for ten years working with administration and faculty to engage students, families, educators and communities in the college search process, providing information, resources, programs and services to help in the decision making and transition process. Her goal is to ensure students attend a campus that will support their success and help them realize their full potential, while at the same time helping to shape the enrollments of future alumni the campus desires. Craig has spent 40% of his life in India. He attended a Boarding School in Panchgani (a small hill station south of Pune) for 12 years and since 2010 has been back in India serving as the Head of the American School of Bombay (ASB). Prior to returning to India, Craig, his wife, and his three sons were in Brazil where Craig served as the Principal and then the Headmaster of two different International schools. 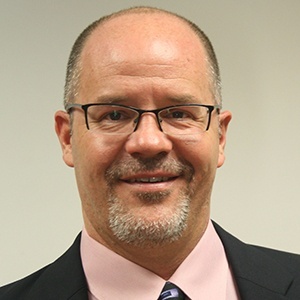 In his capacity as the Head of the School, at ASB, Craig endeavors to stay engaged with his students and faculty by teaching classes, coaching sports’ teams, and leading professional learning communities. A regular presenter and workshop facilitator, around the world, on a variety of Leadership and Educational topics. Mr. Johnson is a passionate advocate for Innovation and Relevancy Education and also the author of numerous articles on a variety of subjects, a screenplay set in Mumbai soon to be made into a movie, and has published a novel titled, Wave Watcher. As KIC UnivAssist Director and co-founder, Swaraj Nandan leads UnivAssist’s U.S. office and its engagement with 170+ U.S. universities. Over the years, Swaraj's work experience with multinationals has spanned multiple industries and countries and this international experience has helped UnivAssist grow its global footprint to 35+ countries. 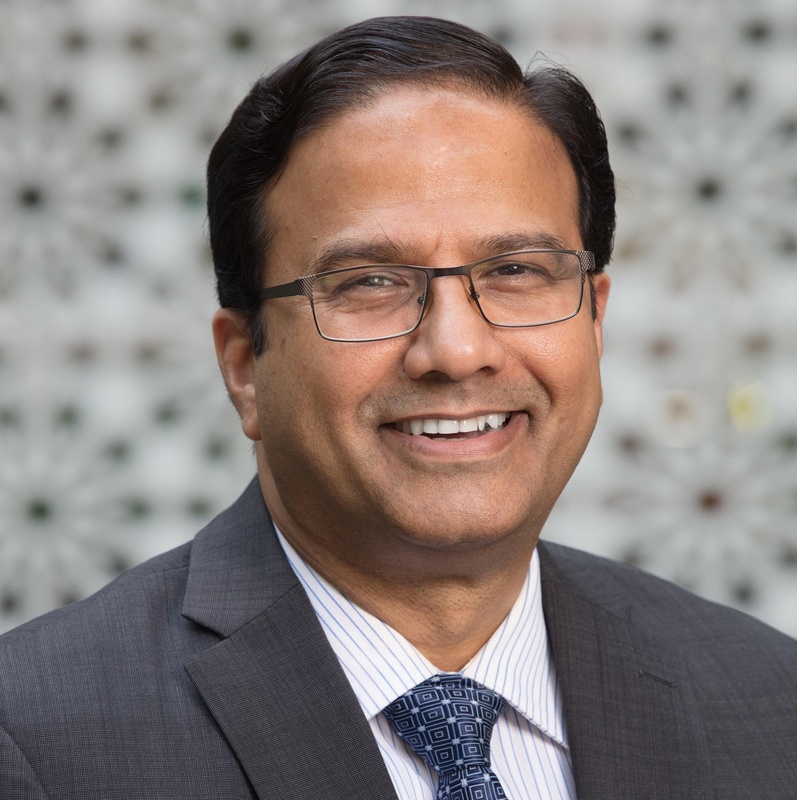 A familiar face on the conference circuit, Swaraj has presented at NAFSA national conferences, all 11 NAFSA regional conferences, AIEA, International ACAC, NYGAP, SACAC and IC3 conferences. Swaraj also served on the Board of Directors of Lend-A-Hand India, a non-profit organization dedicated to providing vocational education and training in rural India. Swaraj holds a Post Graduate Diploma in Management from S.P. Jain Institute of Management and an M.S. in Business from University of Maryland, College Park. 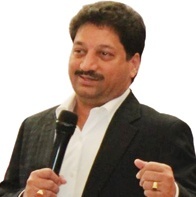 A motivational speaker, trainer and educationist, who believes in policies and philosophy, and someone who loves to be with the people and for the people, Forte is in human management with 32 years of work experience in educational leadership as a principal, mentor, director and vice president of schools. He holds a B.Ed. and M.Sc. in Mathematics from Kerala University, PGDCA in Computers from HEIT Madras and an M.S. in Psychotherapy and Counselling from IPMS Mumbai. Has been felicitated with “RASHTRIYA VIDYA SARASWATI PURASKAR” from the International Institute of Education & Management, Delhi, as well as “BEST PRINCIPAL AWARD,” “BEST ACADEMICIAN,” and “BHARAT SHIKSHA RATAN AWARD” from the Global Society for Health and Educational Growth, Delhi and finally, “RASHTRA PURUSH KRANTIKARAK SMRUTI MAHAPOR PURASKAR 2010” from Kalyan - Dombivli Municipal Corporation. As KIC UnivAssist Director and co-founder, Swaraj Nandan leads UnivAssist’s U.
Fiona is Deputy Head of School at the American School of Bombay. Prior to this, she was an administrator in both the American School of Bombay and Graded School in Sao Paulo and has been an international educator for 17 years, working in various countries. Her current focus is leveraging the expertise of teachers in her school to develop small- and large-scale professional learning communities. Fiona has presented at a variety of conferences on superstructing schools, organizing schools for change, creating developmentally appropriate middle schools, and setting a vision for education. She has an EdD in International School Leadership from the University of Minnesota. 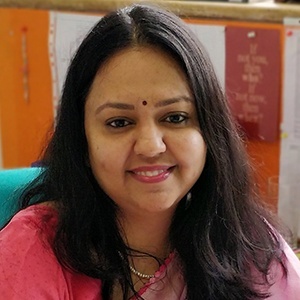 Supriya has been at BIS since November 2013 and works with programme coordinators and teachers on curriculum design, alignment and delivery for grades 6-12. Her favourite themes as Head of International Curriculum are assessment for learning, innovative methods of delivery and teacher empowerment. An alumna of IIM (A), Supriya has played a key role in setting up the IBDP at Jamnabai Narsee School (2005-2007). Subsequently, at Dhirubhai Ambani International School (2007- 2013) she worked in the capacity of DP Coordinator and various pedagogical leadership roles. 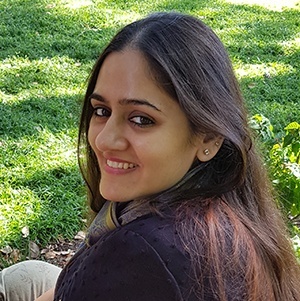 Supriya has led many workshops internationally since 2010 which including Business Management, Extended Essay, DP Coordination, DP Concepts and Inquiry, Understanding the DP. In her IBE roles as a Site Visiting Team Member and Consultant, she enjoys supporting upcoming IB schools in the region. Supriya was the Asia Pacific Representative on the IB Diploma Review Committee from March 2016 – October 2018. Abhimanyu Basu is the Deputy Head and Academic Project Director at Dhirubhai Ambani International School Mumbai. His experience in the IB world extends by being an IB Diploma Teacher, Teacher Trainer Team Visit Leader, Team Leader Examiner and Examiner for the International Baccalaureate. He leads IB Workshops in Biology, Extended Essay, TOK, DP Administrators, DP Coordinators, DP Core Assessment and Team Visit leader for authorization, evaluation and accreditation visits for IB, CIS and NEASC. At DAIS the four broad areas he overseas are Curriculum, Instruction and Assessment, Personnel, Administration, Student Affairs, Parent and Community Relations. Speaker at conferences and seminars at various forums including the IB Asia Pacific Conference. Rekha has been an educator since 2012. She previously taught Spanish in private institutes. The passion for the language, and love for interacting with curious young minds led her to take up a position at BIS in 2017 as a Spanish Teacher. Having grown up in the Canary Islands (Spain) she is a protagonist of intercultural understanding and development of cultural intelligence for IBDP learners at BIS. 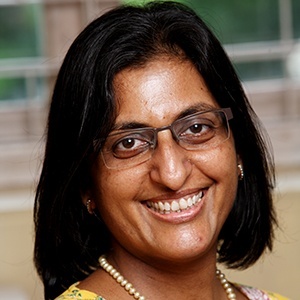 Rekha has recently taken on the role of University Guidance for the school. She enjoys her role in encouraging students to strive for their personal best. As a Mentor Rekha is excited to be working with students and teachers and people vested in educational success. She looks forward to helping students achieve their dreams. Mr. Ian Davies is the Head of School at Garodia International Centre for Learning Mumbai. Originally from the U.K., Mr. Davies has worked at the senior level in international education for 37 years in the U.K., Indonesia, Poland and Russia. Still a passionate teacher of History and Theory of Knowledge, his professional interests revolve very much around classroom and pedagogical practices. One of Mr. Davies’ proudest moments was being invited to the White House to receive the U.S. Presidential Teachers Award for his outstanding contribution to teaching. As an International Baccalaureate (IB) Educator, he is involved in international school consultancy, evaluation, training of staff, leading workshops and he was the IB Ambassador for Indonesia. 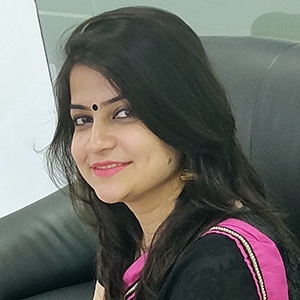 A qualified Chartered Accountant, Surabhi Goel brings with her 17 years of experience across finance, project management, operations, budgeting, branding & marketing. 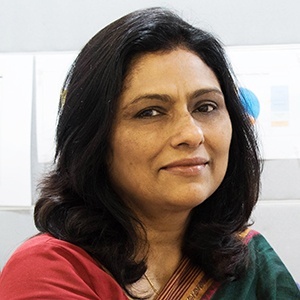 She has worked at large organisations such as Arthur Andersen and ICICI Bank but it was during her yearlong teaching stint at an MBA college that she realised that she was passionate about the education sector. She then worked with Zee Learn where she set up their first international school in Mumbai. 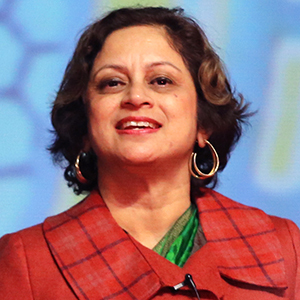 Currently, she is the CEO at Aditya Birla World Academy, a K12 international school, The Aditya Birla Integrated School, a school for children who learn differently & Aditya Birla Education Academy, a premier institute for teacher professional development. Her life mantra is ‘learn, unlearn and relearn. Tiffany is currently one of the two university counselors at Oberoi International School. Tiffany has been working at Oberoi International School for over two years, after working in the U.S., Bangladesh, U.A.E., Saudi Arabia, and China. Mr. Harish Luharuka is a versatile and dynamic educationist, actively and successfully engaged in the field of education since 1980. He mentors 20+ institutions in India and abroad, impacting 25,000+ learners. Additionally, he manages diverse curricula including State Boards, National (ICSE and CBSE) and International (CAIE, UK and IB). 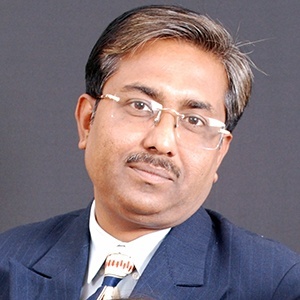 Mr. Harish Luharuka was the Founder, Chairman and Managing Director of Oxford Coaching Institute, Mumbai (1988-2015), as well as the Director of Parle Software Limited from 2007-2016. 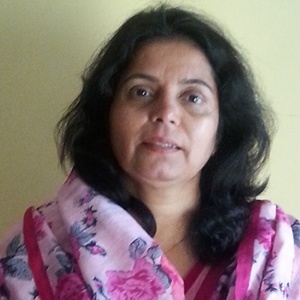 Mrs. Kavita Malhotra is a dedicated educationist and is the Principal of The Universal School, Ghatkopar, Mumbai. 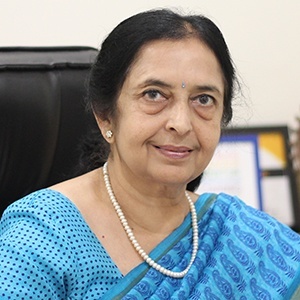 In her long and illustrious career, she has contributed in the sphere of education in varied roles – teacher, trainer, educational researcher, and school administrator. 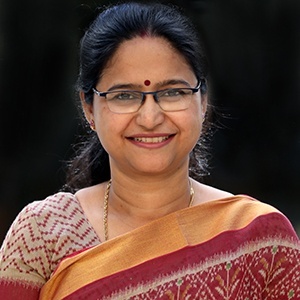 She has a deep knowledge of varied curriculum – CBSE, ICSE, IGCSE, A – Level and IBDP which has resulted in her multidimensional and cross-curriculum understanding. Innovative curriculum approach is her forte which is important in the dynamic world of today. Her emotional intelligence and a right blend of compassion, discipline, and constructive freedom has made her a popular figure among children and the faculty. Mr. Shim Mathew’s association with VIBGYOR Group of Schools began in the year 2006. As the Principal of the flagship school at Goregaon, the school achieved success under his able leadership. 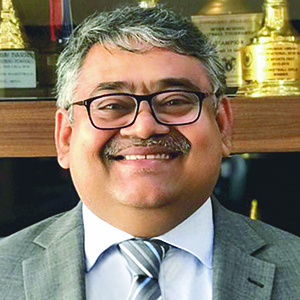 After proving his mettle as the Principal of the school, he was endowed with a larger responsibility as the Cluster Principal for the VIBGYOR Schools in Mumbai. He was soon promoted as the Director Academic Operations, Initiatives & International Partnerships for VIBGYOR Group of Schools, India. He brings with him more than 18 years of experience and has spent several years teaching and guiding students to fulfill their true potential. Rakhi Mukherjee, Principal of Utpal Shanghvi Global School and PPSIJC, has been an educationist for 22 years. With a dual Master’s in Education and History, learning is her passion and she aims to pass on that passion to her students. 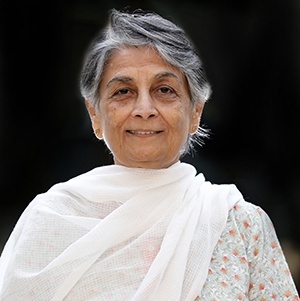 During her career, she has introduced of the Cambridge International Curriculum, digitized teaching processes and represented the school in receiving the 1st Computer Literacy Award by the President of India. Additionally, she sits on the Cambridge International Education Advisory Board, being the only Principal representing South Asia. With 24 world toppers and 66 india toppers at the IGCSE and A-level, Utpal Shanghvi Global School is ranked 2nd in Mumbai and 1st in Zone B by Times School Survey, 2018 and 8th International School in India by Education World India Rankings 2018. 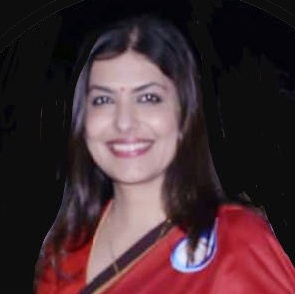 Ms. Avni Parekh is associated with VIBGYOR Group of School since 2011. She started her career as a Behavioural Counsellor and has more than 6 years of experience in dealing with Special Educational Needs students. For the past 2 years, she has been working as a Career Counsellor and is driving the VIBGYOR Career Counselling Cell (V-C3) an initiative which aims at guiding students find best fit institution in India and abroad. She was also one of the final Nominees in the category of ‘Emerging Counsellor’ during the IC3 2018 Annual Conference held in New Delhi. 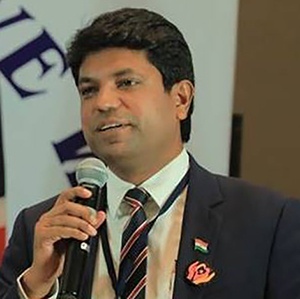 Pinky Pujara is the Director of Universal Education and its associate schools Ebenezer International School, Primus Public School and Alpha Group of Schools. She also serves as a Trustee and Board member with several trusts and foundations. Universal Education founded in 2003, she has been an integral part of its exemplary journey and growth beginning from one school to now 22 schools and higher education institutes. She has been involved in every aspect of the group’s functioning - from strategic decisions and academics to administration, operations and brand building. Universal Education currently has its presence in Mumbai, Nashik, Aurangabad, Bangalore, Trichy, Dubai and Sharjah. She aspires to build a strong community of quality educators who can empower young minds and groom them into successful nation builders. 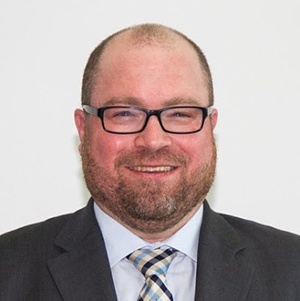 Matthew Ruffle is the Director of Institutional Advancement at the American School of Bombay in Mumbai. Before coming to ASB, Matt created and developed the advancement program at the American International School of Dhaka as the Director of Advancement. Prior to that, he spent 13 years in the classroom teaching English literature to Middle and High School students in schools around the world. Matt is a firm believer in creating and nurturing strong relationships with all the diverse members that form an international school community. Head Career Guidance Counselor at Aditya Birla World Academy helps the students to understand their abilities, interests, talents and personality characteristic to develop realistic academic and career goals. She handles career counselling for students from Grade 8 to Grade 12. After her Post-Graduation in M.A (Psychology) with a specialization in clinical psychology, she achieved a PhD in Clinical psychology. Passionate about understanding career counselling, Dr. Sonia pursued a Diploma in College Counselling from the University of California Los Angeles and topped it with courses on college counselling from Harvard University. 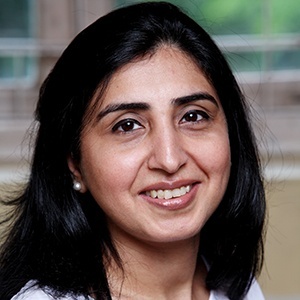 Dr Sonia has been a successful facilitator for SAIBSA and has conducted various workshops. 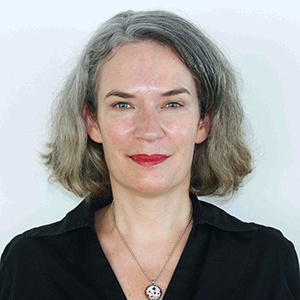 She is also on the panel of the advisory board of CIALFO and University of Toronto. Ms. Suchetha Vasant is the University Guidance Counsellor at Garodia International Center for Learning Mumbai. She completed her post-graduation in Psychology, followed by a post-graduate diploma in counselling Psychology. Her work experience in the education industry for the past 23 years has been in teaching and counselling, including personal as well as college counselling. She has also served as the SAT and ACT center coordinator in her previous assignment as guidance counsellor.